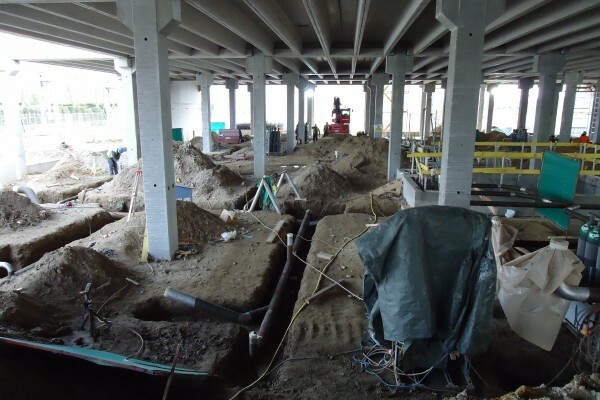 Fabrication and Installation of New Process Underground Floor Drainage System for Genzyme at their New Bio-Tech Plant, located at GEEL, Belgium. MSL were appointed mechanical contractor for the supply and installation of the underground process drainage system. The ground floor area level of this new Bio-Tech Plant measured 7,200sq metres, incorporating in excess of 100 no Floor and Channel Gullies for process drainage. Project Description: Supply & Installation of Underground Process Drainage System. Generation of Isometrics (150 approx) for the underground process drainage pipe work. Fabrication of pipework (consisting of 4,000 weld inches) at MSL fabrication facility. NDT of 20% and Boroscope performed on welds, achieving a 100% success rate. Shipment of Fabricated Pipe Spools from Cork to GEEL, Belgium. Supply and Fabrication of 100 stainless steel gullies and gully channels for Clean Room process drainage specifications. Supply Civil Contractor with the required trench elevations for the new process drainage. 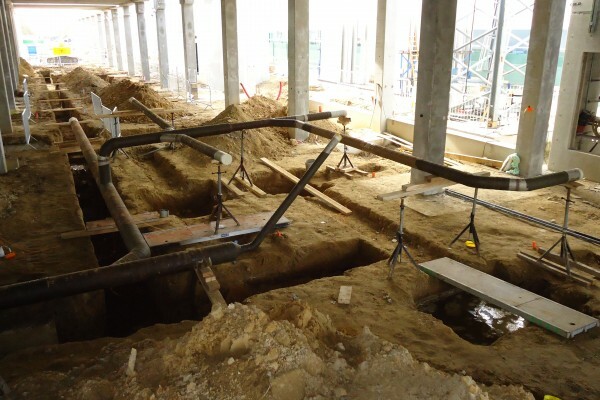 Installation of new process drainage pipe work at Genzyme. This consisted of 750m of schedule 10 stainless steel pipe, size ranging from 4 to 10 inch nominal bore. All pipe work was installed to achieve a 1:100 fall. NDT of all field welds. MSL Engineering Ltd. are now hiring for 2 positions. Contact MSL Engineering Ltd. Get in touch now.